Fall, that sneaky little devil. It seems to creep up slowly, and before you know it, the trees are bare, the temperature drops, and it’s time to switch up your wardrobe. Fear not. 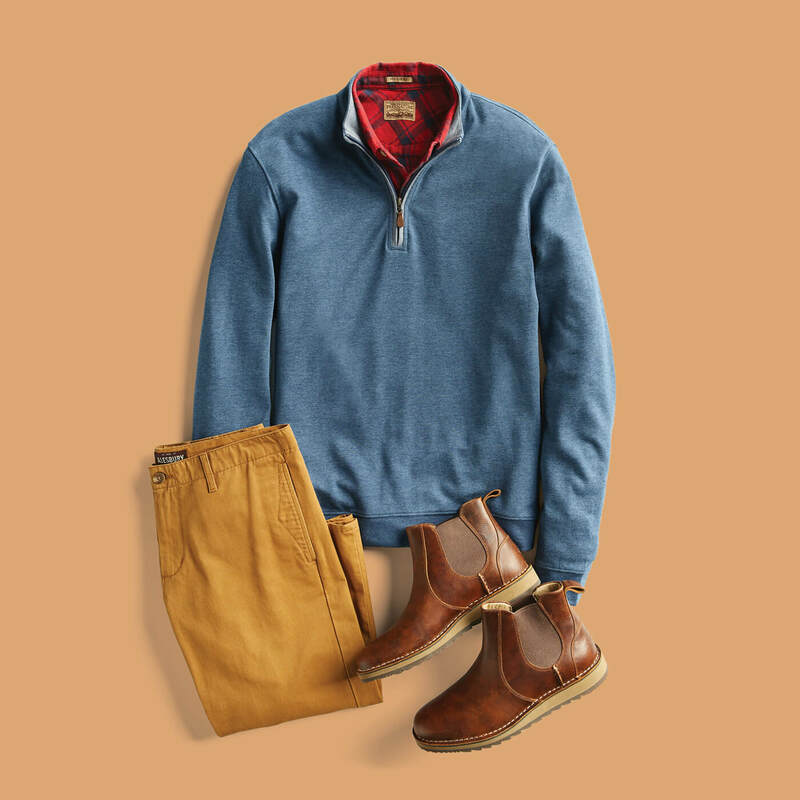 Unless you’re into wearing sandals with socks or shorts with a puffer, we have a list of fall style essentials to help you sport this season like a pro. 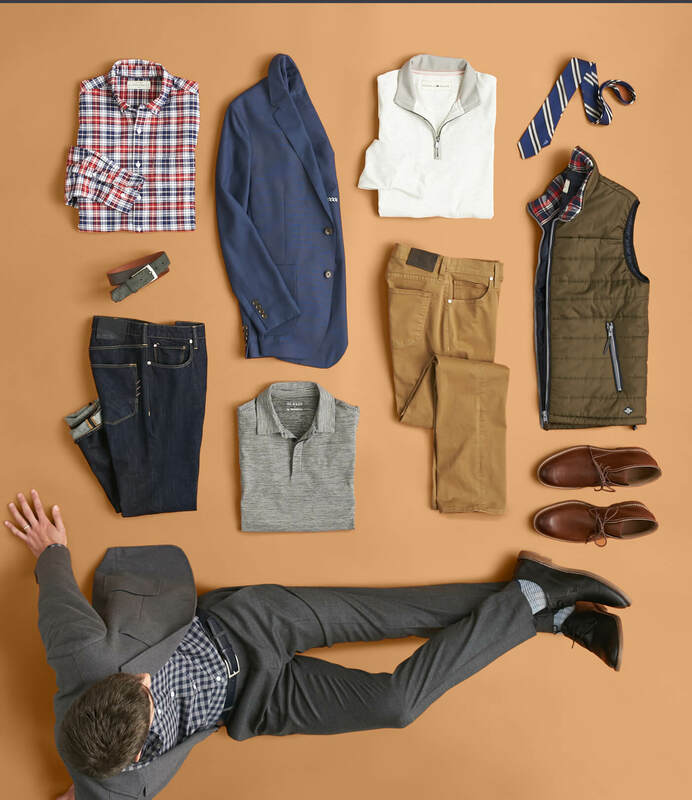 Check out our must-haves and how to style them for fall. A blazer is a must for every man’s wardrobe. Think of it as your secret style weapon. You can keep the vibe laid-back and low-key with a knit hoodie, colored denim and sneaks or dress it up with a crisp white dress shirt, tailored trousers and leather Oxfords. A blazer allows you to create an arsenal of stylish looks perfect for just about any smart, casual occasion. Whether you wear a tie to work every day or bring it out for special occasions, a tie is an easy way to add a dash of class to your ensemble—even if it’s a casual one. Pick a color that complements your skin tone and a pattern that brings out your personality. A step up from your regular sweatshirt and just as comfortable, the half-zip is an easy-going addition to your weekend wear. Layer it over a plaid flannel, add colored chinos and a pair of leather slip-on Chelsea boots for a look that works whether you’re kicking it around the house or sitting down to beers with your bros.
Why not give your classic blue jeans a break, and go for denim in a muted jewel tone (think mustard, forest green, navy, deep purple and burgundy). No matter what color calls to you, be sure to top your bottoms with a shirt in a neutral shade; anything too bright and the look becomes loud. 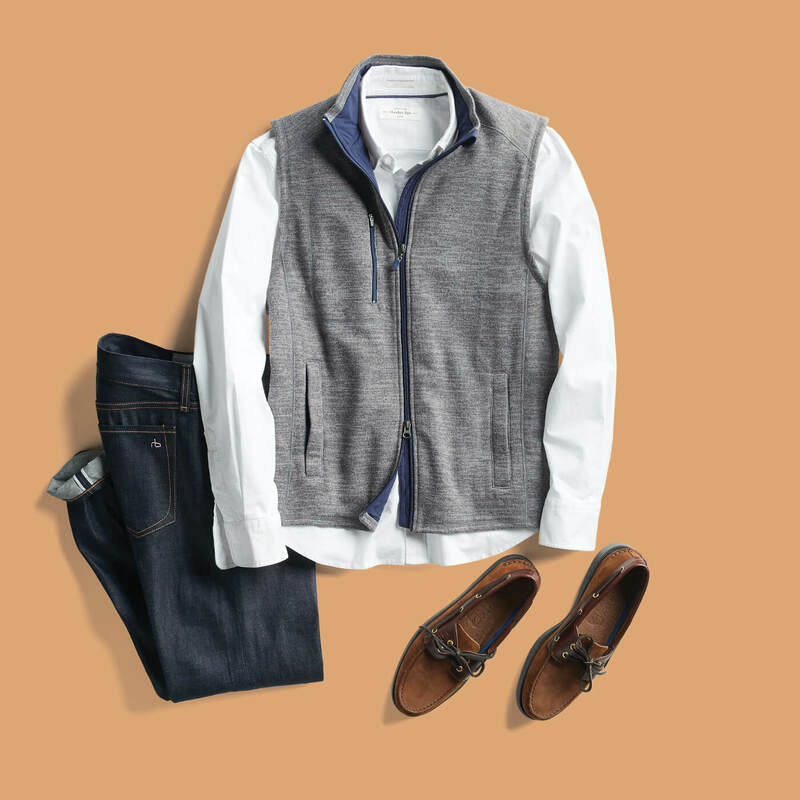 Whether you go with a fleece, puffer, or cotton knit, a vest is an easy way to add an extra layer of warmth without bulking up. Wear it in place of a jacket to keep your body temp running just right indoors and out. To avoid looking like you’re heading out on a fishing expedition, team the sportier styles with a button-down shirt, dark-wash jeans and casual kicks. Designed to be both functional and stylish, a belt can be the accessory that really pulls together your look. If your shirt is tucked in, a belt is essential. With a more casual look, especially if you’ll be wearing your shirt untucked, you can skip the belt (provided your pants stay put on their own). For more formal occasions, match the color of your belt to the color of your shoes. If you’re like most guys, you already own a pair of jeans (or several). Light washes, distressed denim—they’re fine for casual outings, but if you want to elevate your look, opt for a dark-wash stretch jean. 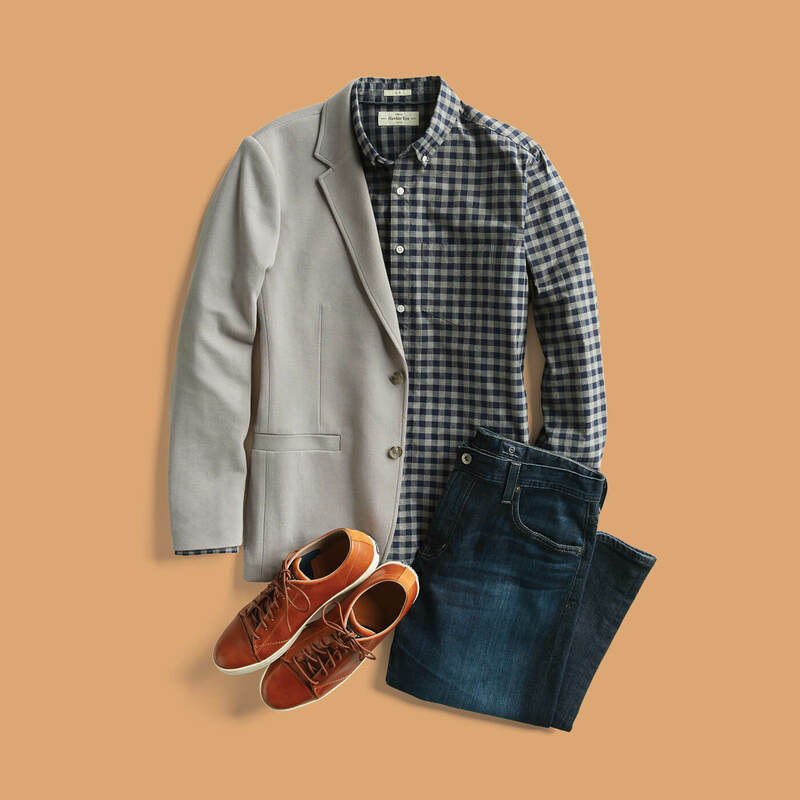 Add a neutral blazer, muted plaid shirt and lace-up leather sneakers to strike the right balance between dressed up and dressed down. The Scottish Highlanders put plaid on the planet and since then, we’ve seen it cropping up in various incarnations—from 60s Pendleton to 90s grunge to present-day hipster. It’s a versatile staple that plays well with denim. Simply vary the color to change up your look. For a casual, laid-back vibe, try a classic red plaid paired with a light denim straight-leg jean and boots. If you want a more subdued style, team a deep blue or black plaid with dark-wash jeans. A long-time favorite of East Coast yachties and West Coast skateboarders, the polo is a true staple. If you think about it, the polo falls somewhere between a comfortable tee and a dress shirt, making it the ideal clothing choice for events that are neither overly formal nor entirely casual. 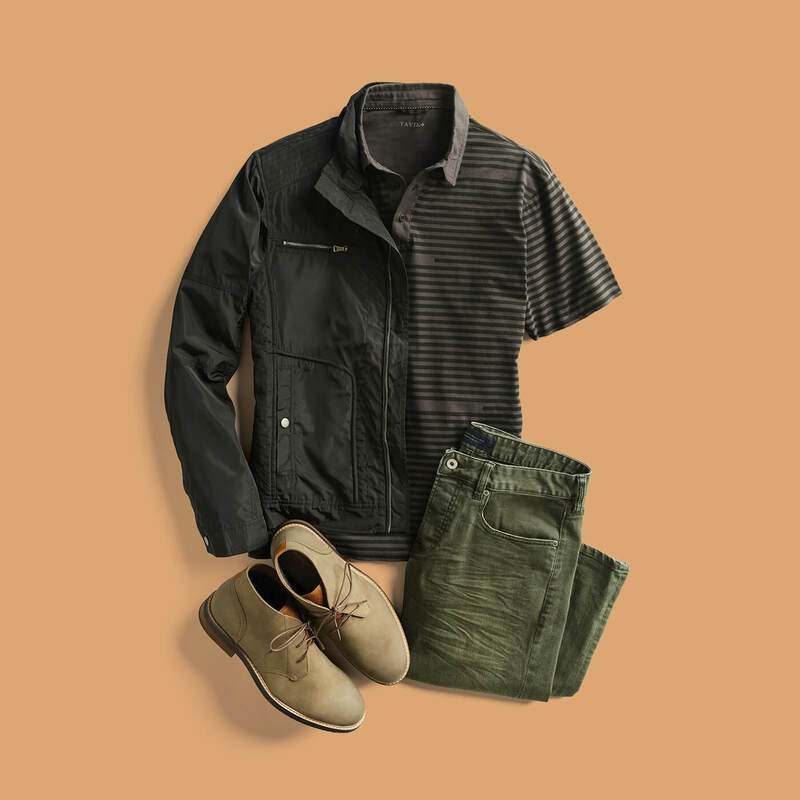 Team it with a waterproof jacket, colored denim and Chukka boots in down-to-earth tones. Versatile and very on-trend, chukka boots are the ideal finishing touch for a casual look (we suggest pairing a light brown suede chukka with jeans, a white button-down and a denim jacket) yet also work with smart and biz casual ensembles. Try black leather chukkas with black jeans or take them to the office in a dark hue, tailored trousers and a bomb blazer. There you have it. Ten essential must-haves for fall. Ask your Stylist for these easy-going pieces in your next Fix.